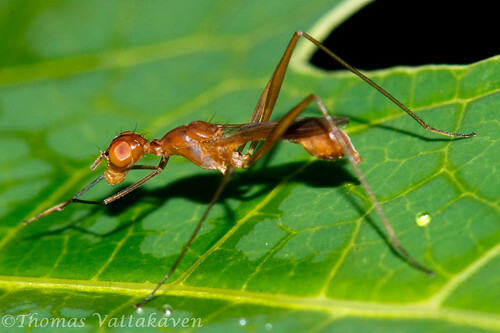 Featured here is a stilt-legged fly. 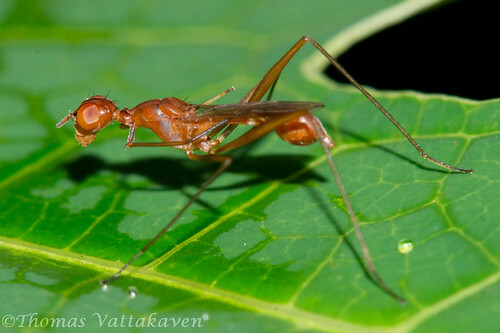 This species look remarkably similar to ants, but the photographs don't do the mimicry justice. 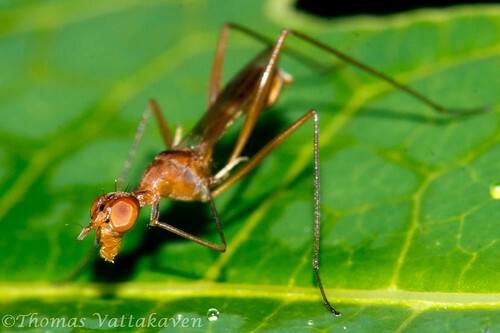 The fly was on a leaf and didn't keep still for a second, and hence was difficult to photograph. 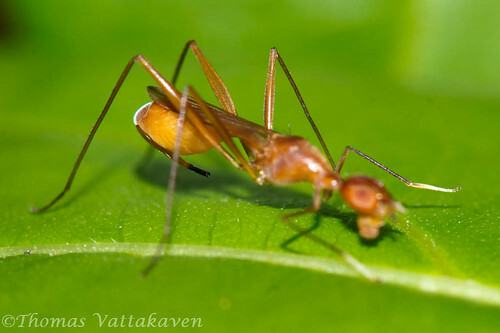 I however did manage to find focus on its long ovipositor which was retracted beneath its abdomen. I`m not sure what the purpose of this mimicry is. If you do, leave a note in the comments. Lovely macro shots. 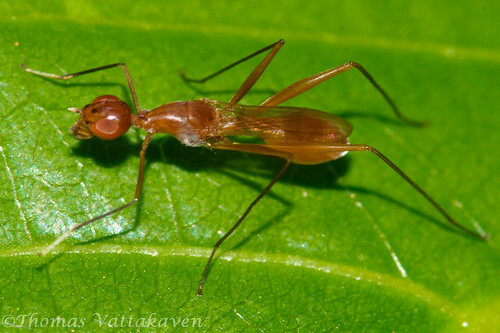 If it weren't for the wings, even I would have mistaken it for a weaver ant.